If you believe Private Training is a fit- Austin Youth Basketball has several options available for you and can customize other options. Evaluation and Assessment – This is a recommended first step for players age eight and older. This is a one hour session designed to test a player’s dynamic athleticism, basketball learning aptitude, and assessment of strengths and weaknesses. Some skill trainimg will occur. From this a written blueprint will be drawn up for future player development. This blueprint will be designed around the passion, budget and time constraints of the player and their family. Private Training at Life Time Fitness – Customized Private Workouts designed to magnify player strengths while addressing player wekanesses. 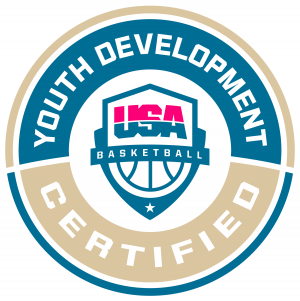 These sessions are designed to help players make their basketball team, increase their skill and offensive production, enhance communication and leadership skills, and take their game to the next level. Proper footwork is taught and practiced until it becomes intuitive. Life Time Fitness is a world class facility in South Austin. Private Training on Sundays at Circle C – Perfect for players not memebers at Life Time Fitness. Same as above but training takes place outside in a brand new beautiful athletic facility at Goryzcki Middle School. Perfect for the family that wants to maximize instruction time. Beautiful tennis courts, soccer field and a track with room for everyone in the family. MVP Driveway Workout – Coach Chris Corbett will come to your driveway and design a workout that is fun, productive, and results driven. This is a perfect way to introduce your child to player development principles like measurement, self competition, no excuses, and focus. The workout can then be repeated with or without the Coach. Parent / Child Workout – You need to workout. Your young basketball player has the desire and passion to develop. Coach Chris Corbett can design a workout that will provide a shared experience that you can both enjoy. This workout is designed to be taught once and repeated without training. Coach Chris Corbett can also do semi private training for teammates, brothers, sisters, etc. The Coach currently only has 2-3 slots available per week due to his commitments in classes and camps. Email Coach Chris Corbett [email protected] (chris null@null austinyouthbasketball NULL.com) or call him at 512.921.4444 to schedule your private basketball training session.